always re-decorating please come back! 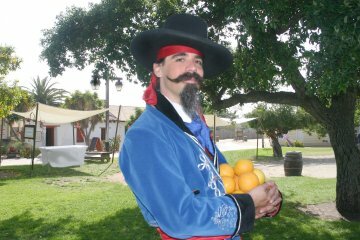 I am a member of the San Diego Costume Guild. 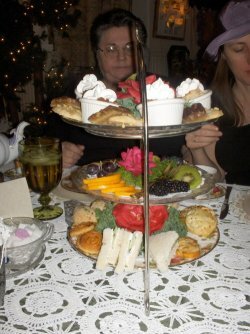 We get invited to events with benefits, like discounts or free entry or lunch. 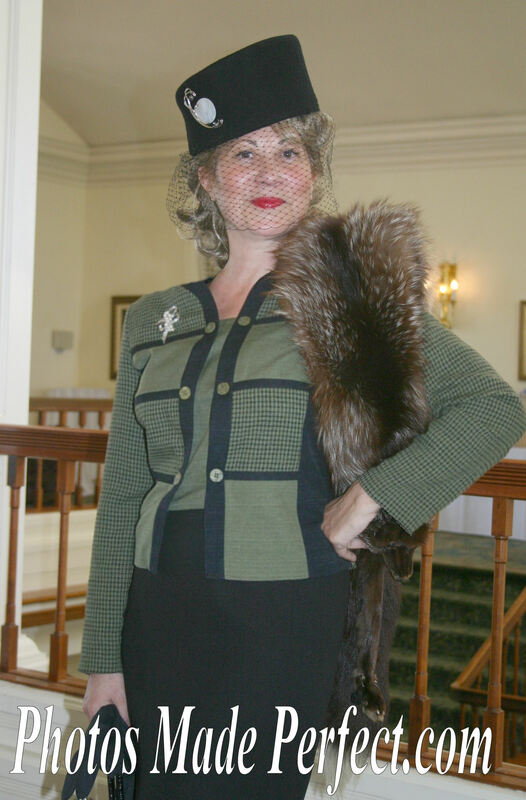 Wearing costumes to an event is also showing support for their cause at no cost to them. 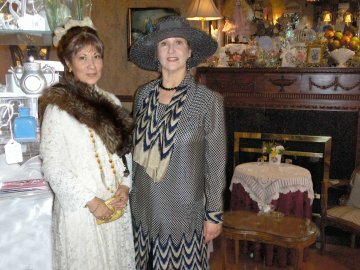 We do it because we love to show off our costumes and very often we learn interesting and educational topics from the events. 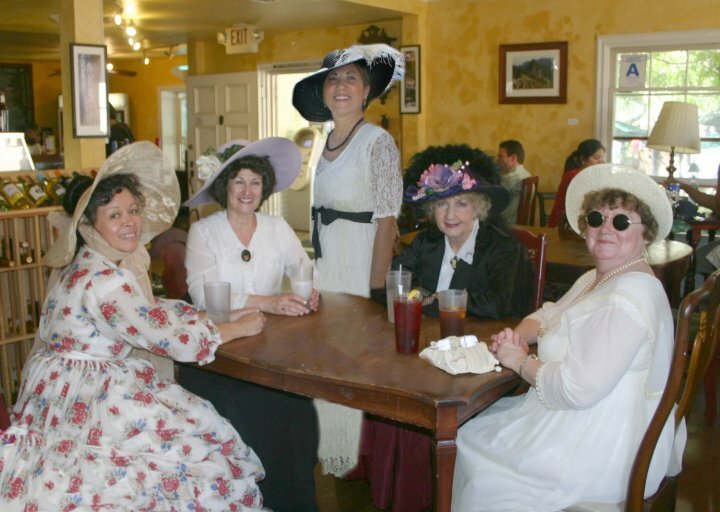 I personally like to support museums, antique shows and educational programs; like the civil war reenactments and the Bennington Memorial and going to local tea haunts and restaurants. Do you have an event you would like to invite us to? All the while, I do promote my business, Photos Made Perfect and the San Diego Costume Guild when given the opportunity or asked what I do. 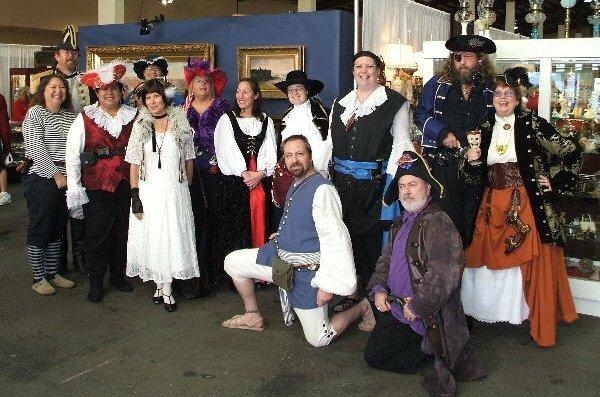 About San Diego's Costume Guild? 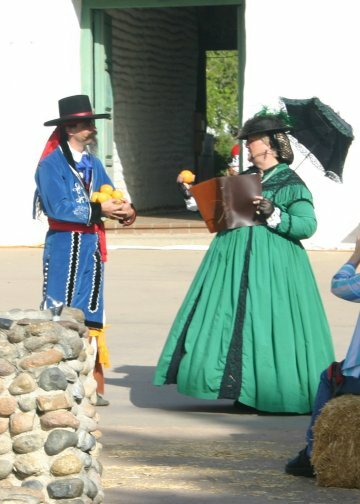 Old Town San Diego shopping and 1800's Fashion Show. 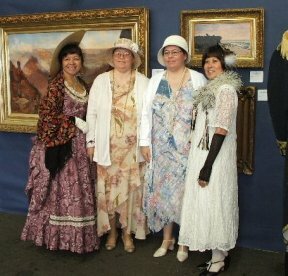 The Del Mar Antique Fair, April, Titanic Theme. 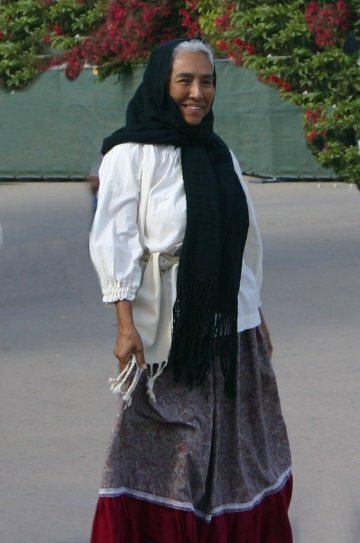 This convention was the first of it's kind in San Diego and very new to me too, but I was told I would fit in. 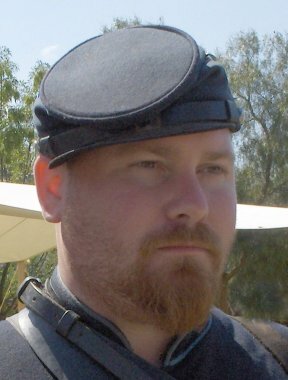 I am strictly Victorian and the Steampunk movement is in short about rebellious Victorians that are usually adventures and time travelers. They are in love with all things Victorian. 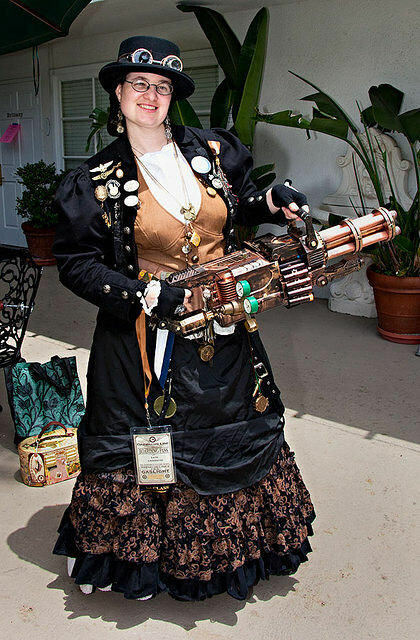 I was there as a vendor for my business, Photos Made Perfect and my contribution to the movement was creating steampunk related posters. The backgrounds truly transformed the steampunkers. 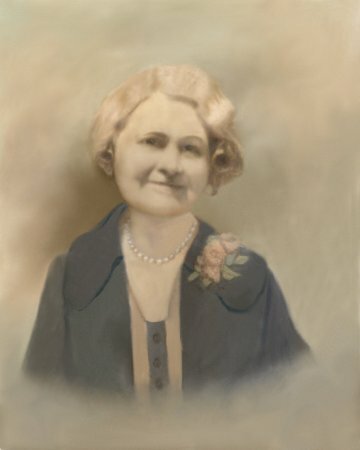 See some samples in Decorating with Photos. Back to the Rabbit Hole. 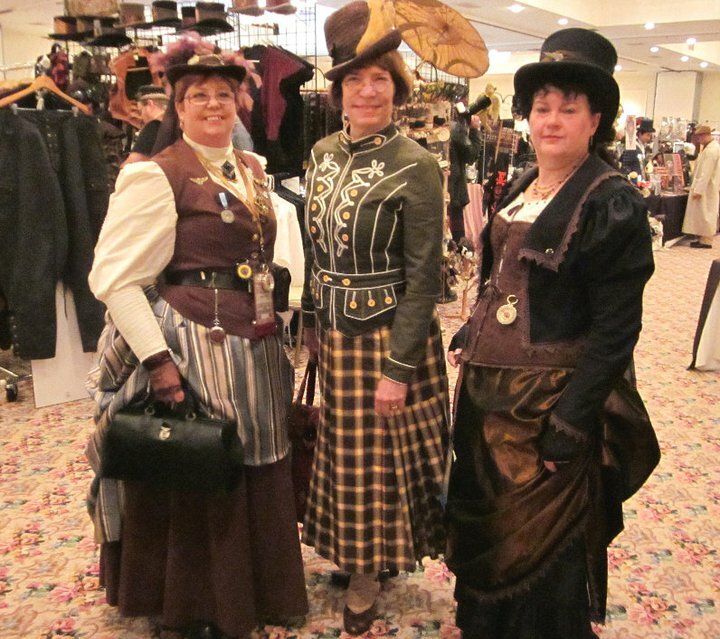 Here are some San Diego Costuming friends. 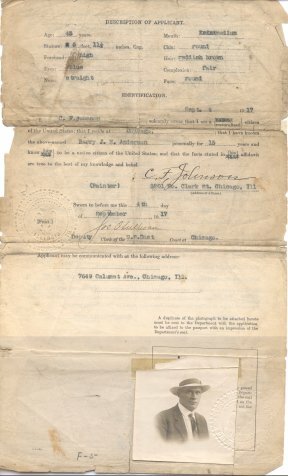 Here are some articles about the convention. The Women's History Museum of California. Or me if you prefer, I can help you make contact with the president Ashley Gardner. Since the past two years I was pretty inactive due to my medical problems, this year I had a lot of catching up to do. My events were scant but different and fun! 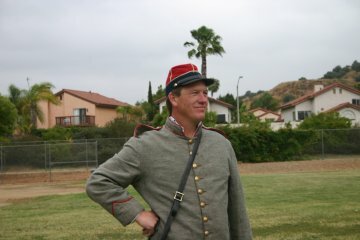 In July, the Son's of the American Revolution of San Diego invited me to be in an Independence Day Parade in Coronado. I had no idea how much joy it brought to people, particularly the women. 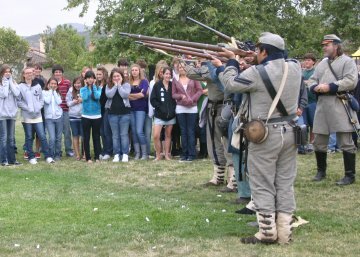 They sure got the biggest kick out of seeing the 1776 outfit I wore. I knew the S.A.R. 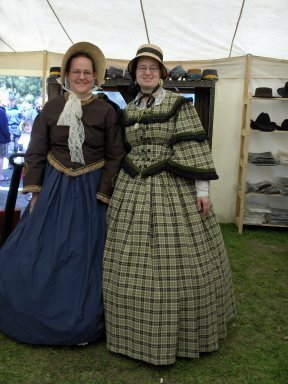 from attending their events in 1905 mourning clothes in the past years. See photos of the Bennington Memorial Ceremonies, Through The Years. Halloween... Not just for kids. 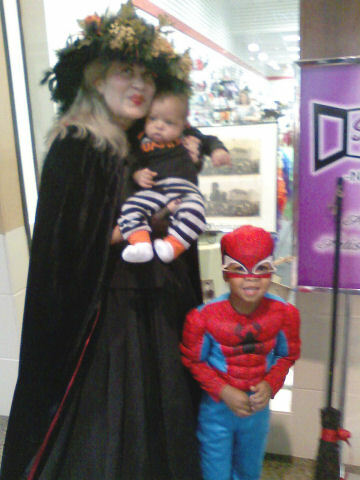 For the first time in many many blue moons I dressed up for Halloween and bewitched the crowds at the El Cajon Mall. My inspiration came from the witches from Hocus Pocus. Still a child at heart? I would encourage any adult to dress up for Halloween, make it silly, fun and for adults too. A first for me! 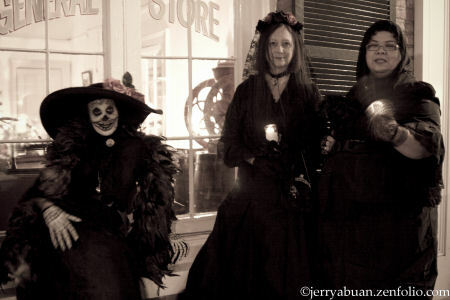 ...Dressing up for "Dia de los Muertos" in Old Town San Diego, November 2010. 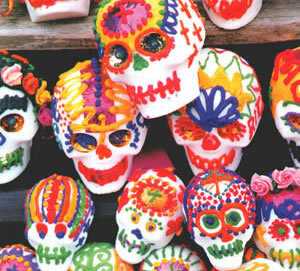 This day... "day of the dead" is a Mexican tradition of creating alters in their homes dedicated to a lost relative. 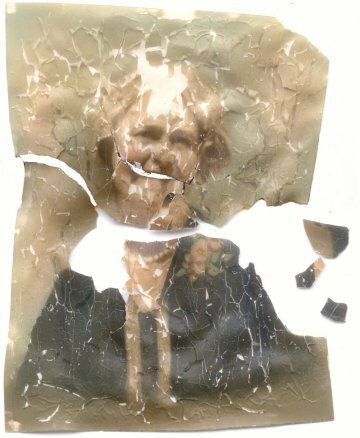 The alter is made of photos and objects that their loved ones loved while alive. 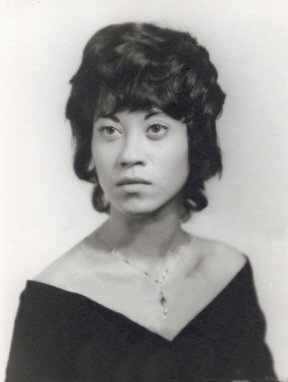 Friends and family come visit this day, to reminisce and celebrate the life and memory of the loss relative. Come back and see me next year! I will be perfecting the art of decorating my face. It's called a sugar skull. Mexicans sculpture sugar cubes into skull shapes for the celebration. Visit this site at www.mexicansugarskulls.com to see more of this holiday traditions. Annual Women's Suffrage Ball in Balboa Park featuring the 1930s on August 23rd 2009. This event is glamorous and you love to dance you will have competition. 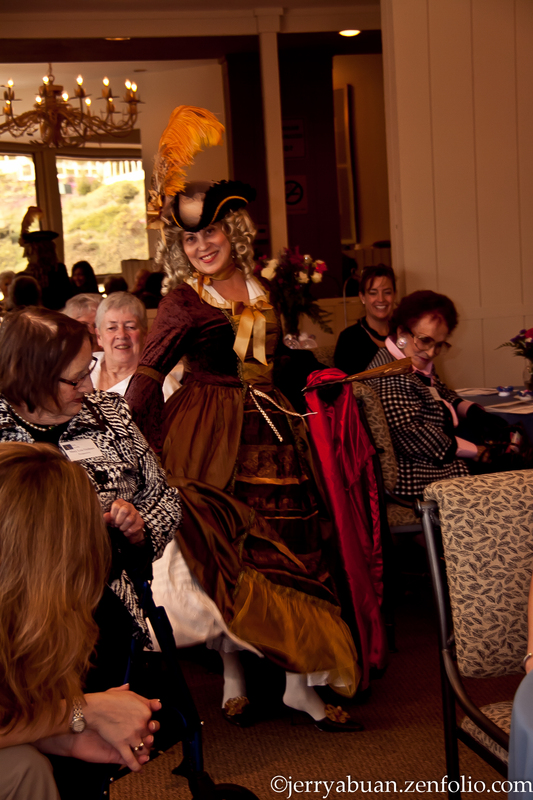 This glamorous event is produced by the The San Diego Women’s History Museum and Educational Center, in collaboration with AAUW, the League of Women Voters, the YWCA and the UN Women’s Equity Council. Come on out and Play!!!! 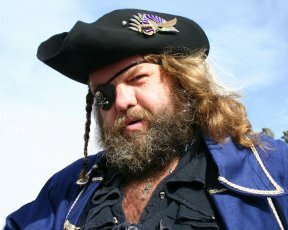 If you want to be a spectator or participant go to the www.goldcoastfestivals.com site for future events. 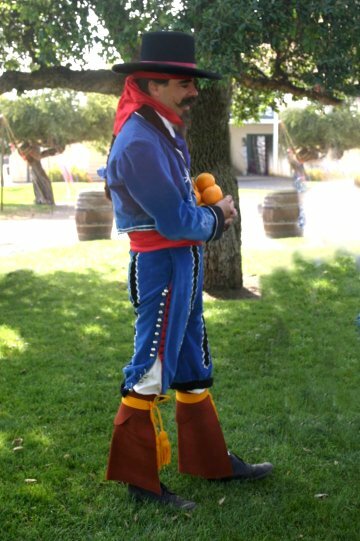 Be forewarned, that if you come in costume, be ready to have people boldly come up to you and ask you to explain your appearance. 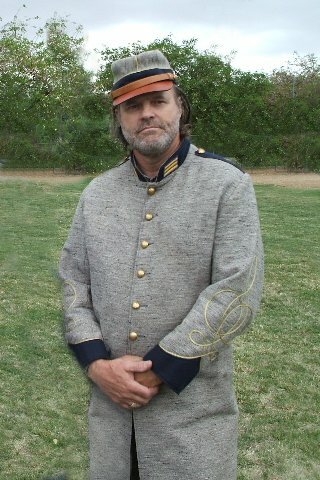 Whatever that is you need to know your history and play the character your dressed in. 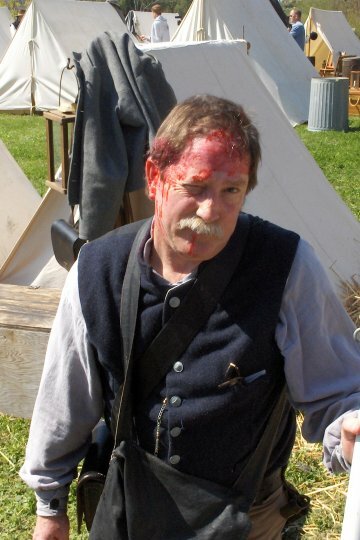 SDCG member bob, daguerreotype photographer is ready for the battle scene. 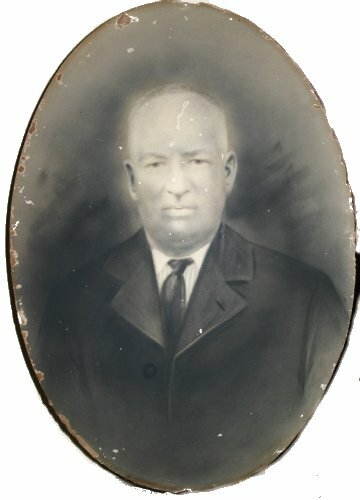 I was ready to talk about the widows. 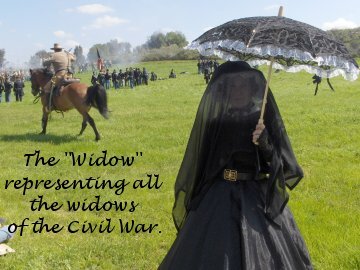 You can read about mourning traditions of the CW period on my "Fashion History" section of my business site. 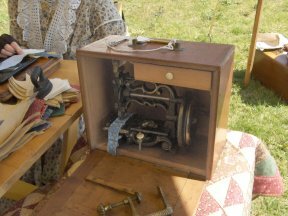 The most interesting to me was looking at the CW era money and watching a lady sew on a portable sewing machine! How modern is that?! I even spoke with women representing the hundreds of women who joined the CW effort disguised as man in uniform with a mustache, on horseback. Here are some great looking characters. First, SDCG member Dan and others I didn't know but with the same kindred spirits. The camps sure looked very cozy. There was so much to do, besides visiting the Union and Confederate camps and talking to the wounded, there was shopping too! This was a great opportunity to buy your costume or parts of it, if you want to be in the next event. This event happens twice annually. This is SDCG member, Katie and friend. 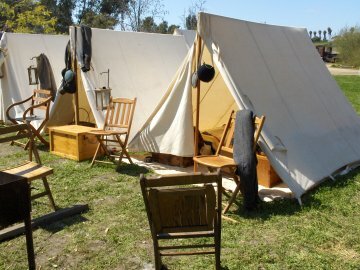 Where ever the battle was the merchants followed and set-up camp too, to provide their services to the soldiers. 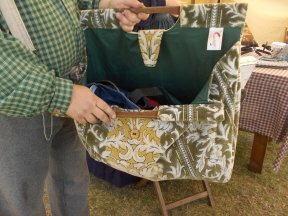 You could shop for a new carpet bag or bonnet and eat just like in the mall. 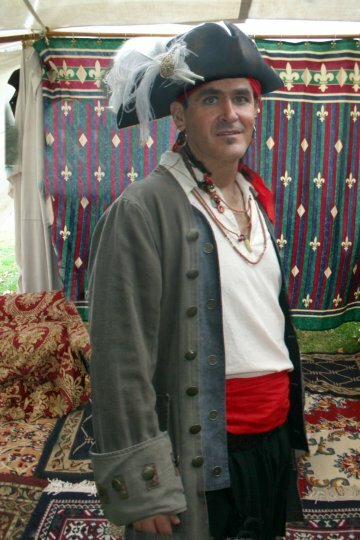 This is Charles, the theme this year was pirates, but of coarse you can always go in whatever you want. 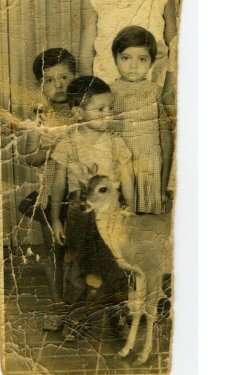 If you are in any these photos and you would like one, call /e-mail me and I will send you one. This was the second year my husband and I went and we noticed it was better than the last year. 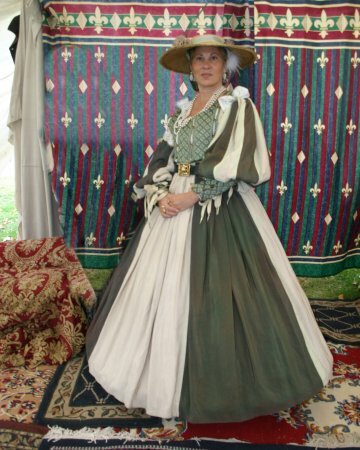 We had fun, despite the rain, I'm confident that with more people deciding to play dress up and more vendors participate, it will be as fantastic as a Renaissance Faire we went to in Maryland. We still talk about how much fun we had there. 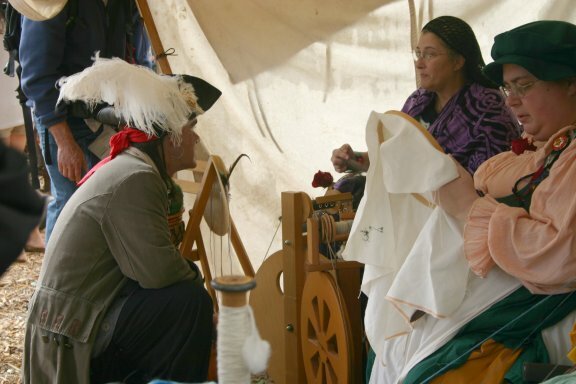 This fair did have many guilds like wool weaving and embroidery and unique vendors of specialty gifts like hand made leather goods. 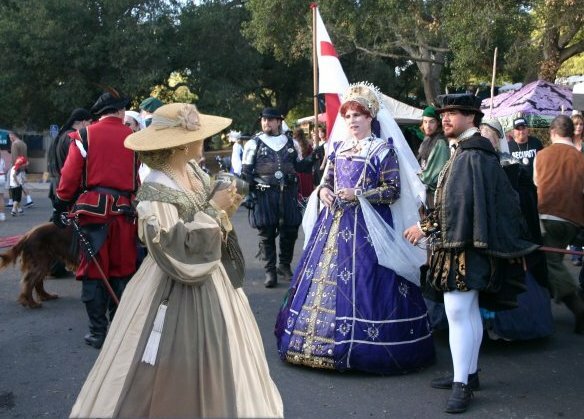 This is a great place to buy items for your Renaissance costume. My husband bought the jacket, shirt, hat and feathers there. I added the finishing touches with the make-up and bandana and sash....next year maybe some weapons. 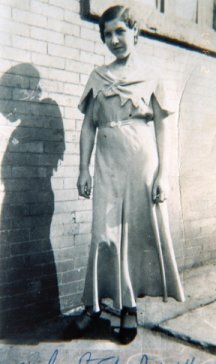 I bought this dress at a yard sale! what a find! 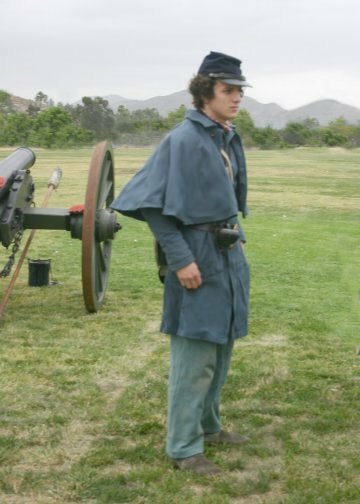 The San Diego's Costume Guild was invited to make an appearance with the Alabama Volunteer Corp. (AVC) in a day of showing off our passion and knowledge of the Civil War. 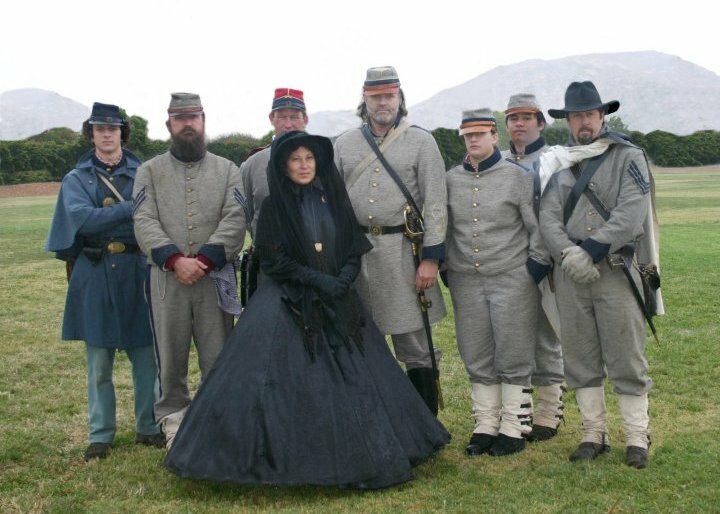 I really enjoyed meeting them because they not only knew details of the Civil War from a solders view point but the also explain some things about widows mourning rules and women's clothing in general that I didn't find in my research. 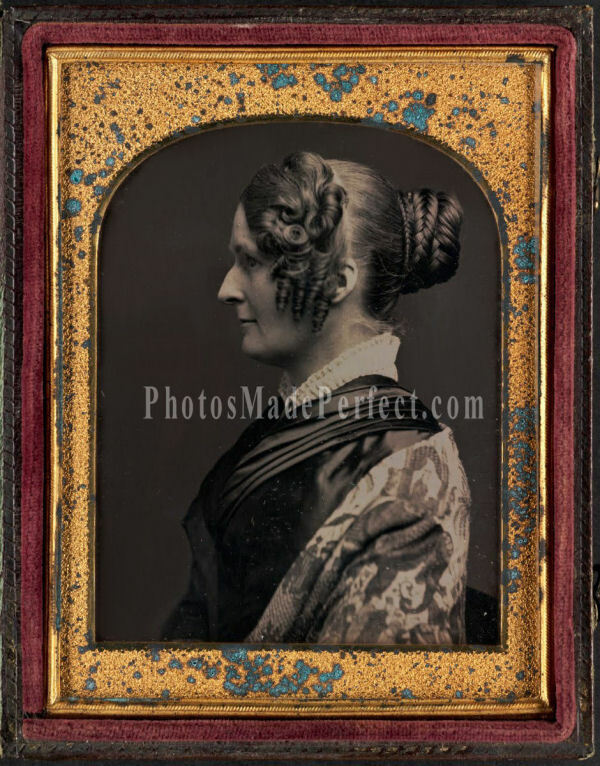 To read very detailed description about the history of Victorian Mourning, there is a section in my "Genealogy Corner" under "Fashion History". 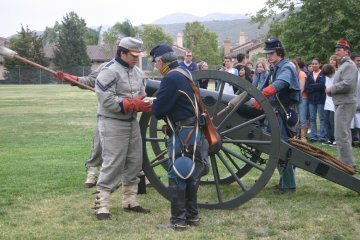 To return here click on "My activities in Period clothing"
These Civil War Re-enactors demonstrated and explained to the students about, uniforms, cannon fire and could answer any question asked about the Civil War. 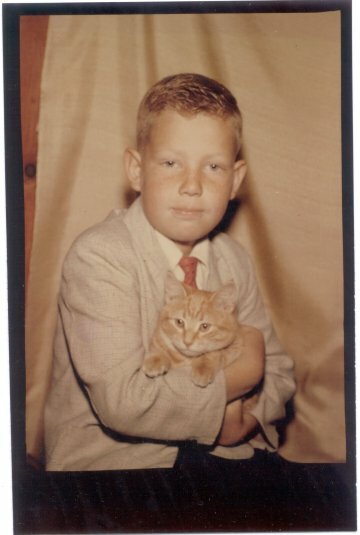 Recognize this photo? noticed the background? 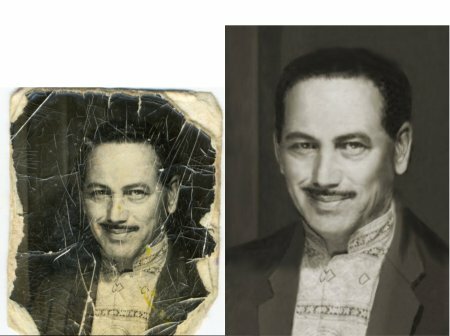 My business is Photo Restoration, don't forget see the rest of this site. Especially "Special Effects" and the "Rabbit Hole". Get rid of anything that doesn't belong in the background. I fixed all of these except the ones with the school kids in them. 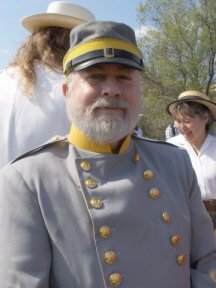 The Alabama Volunteer Corp, visit their site at the American Civil War Society, if your interested in their calendar of events around California, Newsletter and more photos. 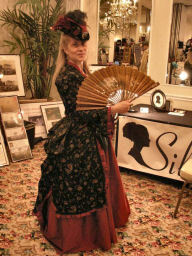 Walk About at the Del Mar Antique Fair happens 3 times each per year, January April and November. Each event as a different theme. The next show is November 21-23 2008. 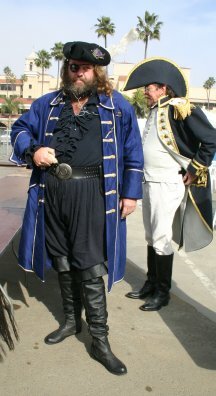 We have been asked to dress in the Renaissance (think pirates) period and the 1920's. 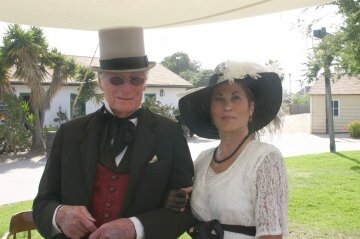 Visit Del Mar Antique Fair site for direction and more. 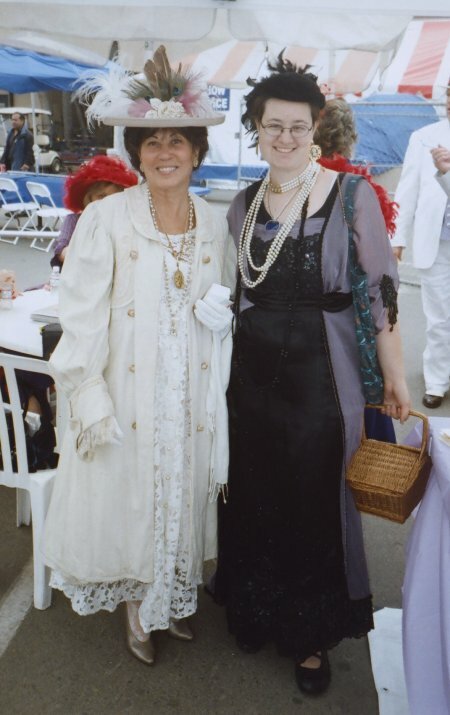 These two photos are the San Diego Costume Guild at the Titanic Walk-About March 11, 2008. 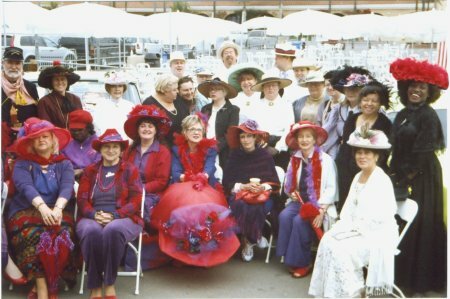 We were joined by some members of the Red Hat Society members. You want to shop for some vintage items you must go to La Mesa Blvd. (8362 La Mesa Blvd. 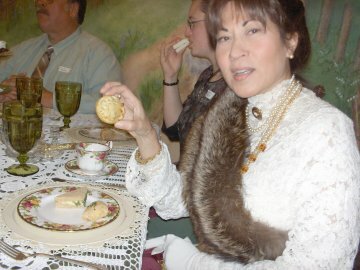 La Mesa) The little town is sooo... cute and full of antique dealers, then have High Tea at the Aubrey Rose Tea Room. It's best to make reservations. You probably see something you want there too whether it's clothes or some thing delicious. Don't forget your hat! 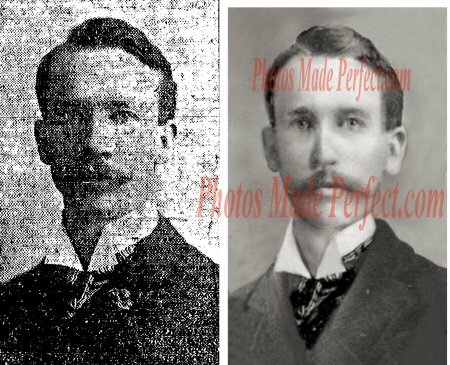 Hey costumers.....in the "Genealogy Corner" under "Photo Dating" there is a treasure-trove of photographs to help you create your next outfit......Vintage Victorian albums too. 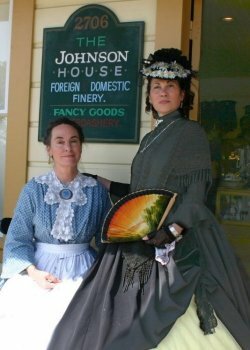 Old Towne San Diego has events I attend in costume and I like to go there anytime just to shop at The Johnson House, 2706 Calhoun Street. 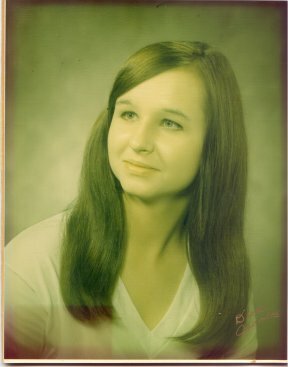 This is Heidi Toler the Proprietor. When she not there she as an excellent assistant name Rachel that is very helpful and friendly. 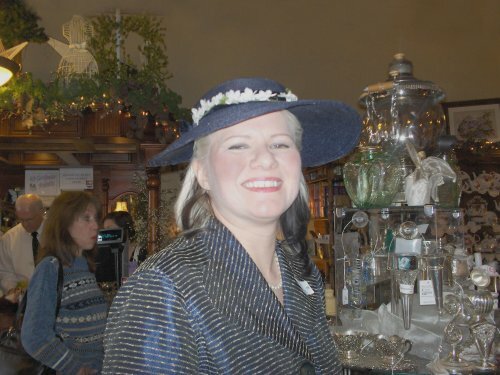 After you make your purchase you can go around again just to look at the fabulous hats she designs. 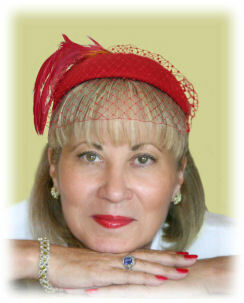 Jewelry, Hat Pins, all kinds of Bonnets, feathers and shawls, just to name a few of my favorites. 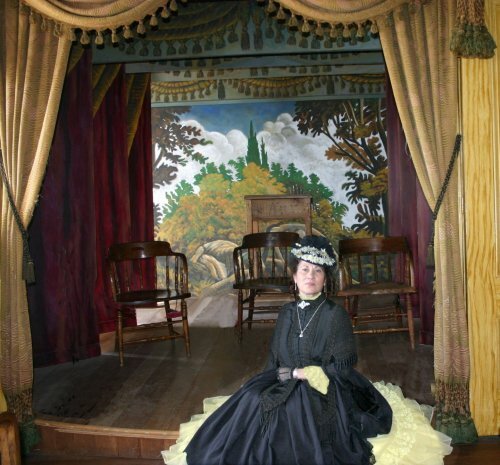 If you have never been to Old Towne, you may like to visit The Whaley House, built in 1855. They rented out rooms in the house to different people and one of them was upstairs to a theater group. The tiniest little stage I have ever seen. 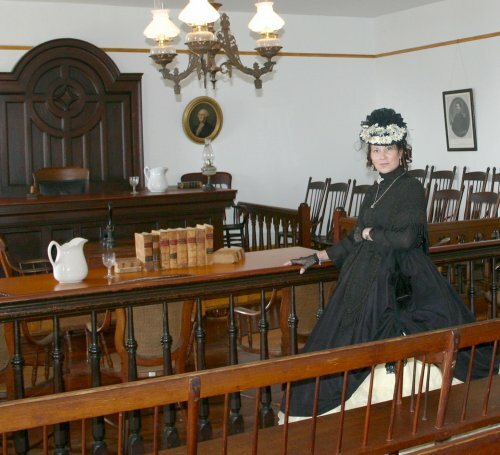 Then this court room to the County of San Diego. 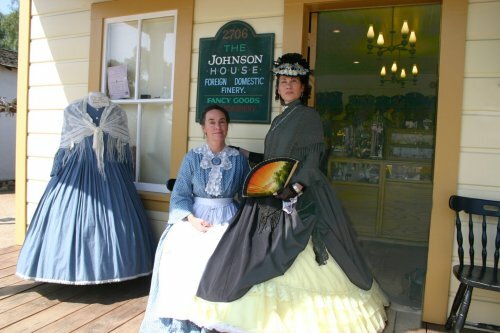 The house is a good place for costumers to have their picture taken. 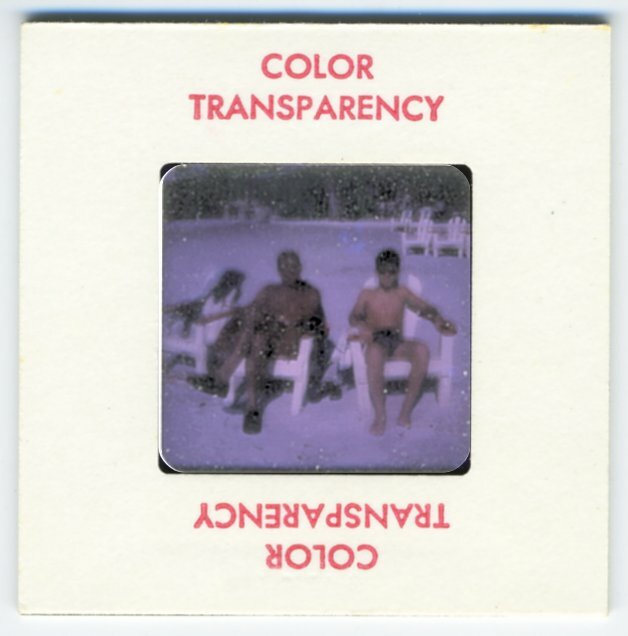 You may capture a ghostly image in them! They say is the most haunted house in the US. 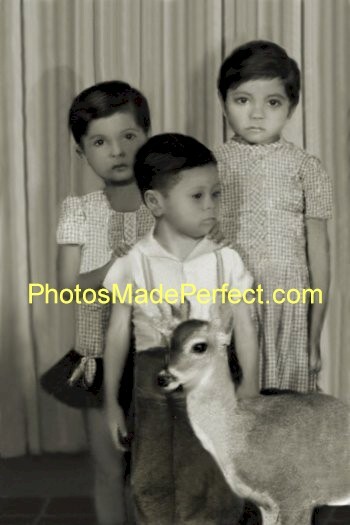 See their collection of photographs with ghostly images in them. 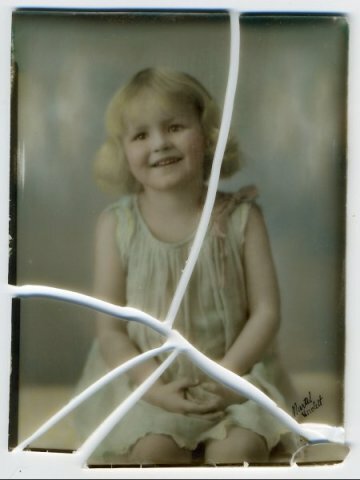 I enjoyed seeing their personal things of that era for my photo dating interest. I was there all of two minutes when I ran into members of the SDCG and we had lunch. 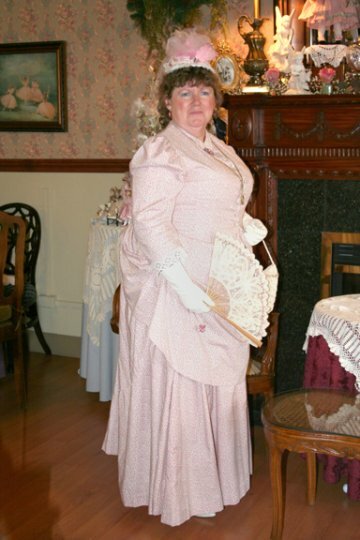 I decided to dress in the early 1900s because it was very warm to be wearing the hoop skirts. 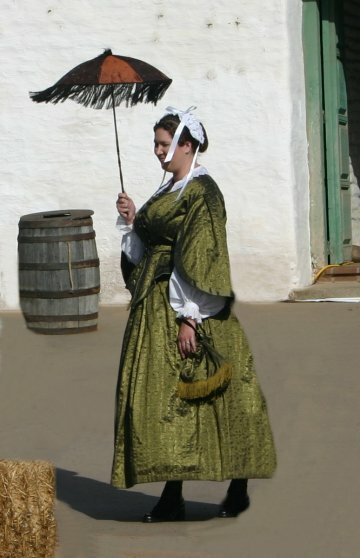 This fashion show told a story of the people in Old Town as they appeared from the audience to parade their period clothing. Instead of having a stage with people coming out onto a cat walk. The participants were the very people you spoke with throughout the day. They were part of the audience and the rest of audience was unaware as they would step forward and walk front and center and disappear into a building. 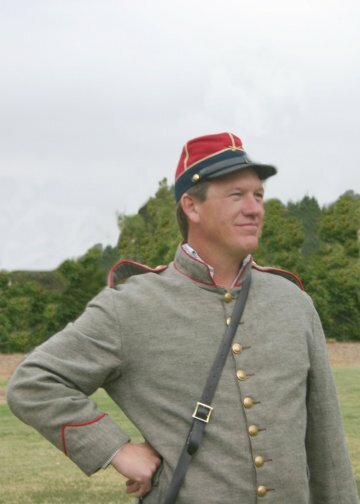 This gentleman (Tom) was wearing sunglasses and I was thinking, I knew they wore sunglasses back then I need to get period sunglasses for all my period clothes. Then later I met this lovely lady, she told me she saw me taking Tom's picture and wanted to inform me that when I took a photograph with someone, remind them to remove their sunglasses. Naturally I asked why? I think they add to the costume and she answered. 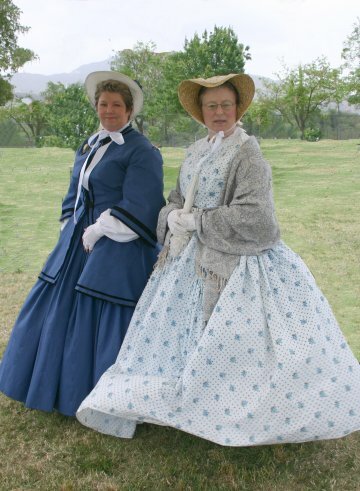 "Because when someone wore sunglasses in the day it meant they had the disease Syphilis" and added "and please don't call the period clothing costumes, they are period clothing" This conversation goes to show you the degree of seriousness these re-enactors are committed to. 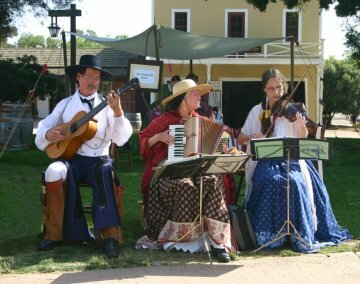 Experience the history and life in the Mexican and early American periods of 1821 to 1872. The Historic Plaza remains a gathering place for community events and historic activity. Five original adobe buildings are part of the historic park, which includes museums, unique retail shops, and several restaurants. 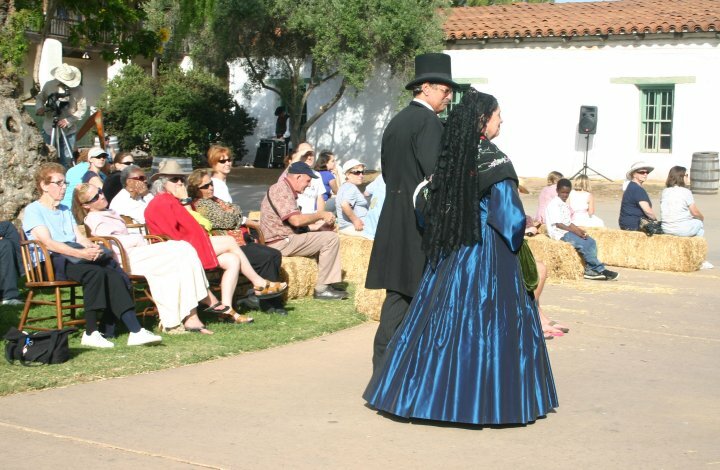 Visitors can experience a working blacksmith shop, enjoy music, see or touch the park's burros and engage in activities that represent early San Diego. Back to top or Back to the Rabbit Hole.